The results of a survey compiling the input of 91 presidential historians, places Barack Obama as the 12th greatest U.S. President, C-SPAN reports. Obama took office as the nation's 44th President in 2009. 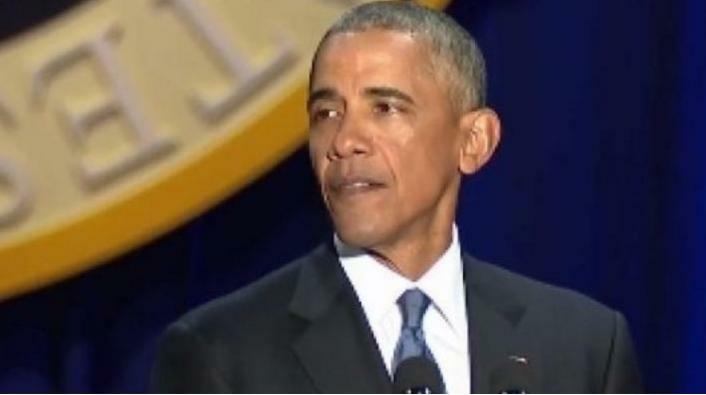 At 47-years-old he was the 5th youngest man to ever become Commander-In-Chief, and although his experience in government was not as expansive as many who had held the job before him, his strong conviction, communication and organizing skills helped him lead through two terms in Washington. No President has been as highly recognized by C-SPAN's panel of historians as Obama has since Ronald Reagan, who is slotted at number 9 in the new survey. Among the attributes Obama scored highly for were his pursuit of equality, management of the economy, public persuasion and moral authority. “That Obama came in at number 12 his first time out is quite impressive," said survey shepherd Douglas Brinkley of Rice University. Coming in at #1 is Abraham Lincoln, who regularly tops the list. He is recognized of course for abolishing slavery, ordering the building of the Transcontinental Railroad, and saving the Union after the Civil War. The Presidents universally regarded among historians as the "big three" remains unchanged, with George Washington following Lincoln, and FDR coming in at third. Founding Father Thomas Jefferson makes the top 10, but was beat out by Theodore Roosevelt (4), Dwight Eisenhower (5) and Harry Truman (6), having been placed as the 7th greatest President. The top 10 rounds out with JFK (8) coming between Jefferson and Reagan, and Lyndon B. Johnson being named the 10th greatest.